Previously napkin rings were in every household. Today it is no longer a sin to use pretty paper napkins. 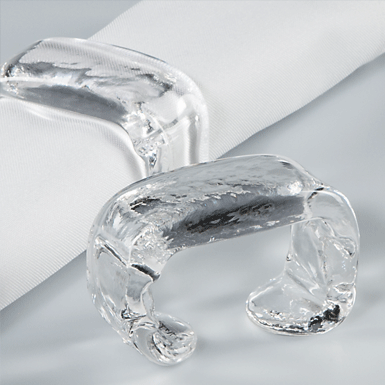 The napkin ring is a typical product of Roberto Niederer and fortunately still has its fans. Hand-poured and placed around the mould.